Are you ready? No, I'm not talking about Halloween so much as next week (although I think I still have some candy left around here). 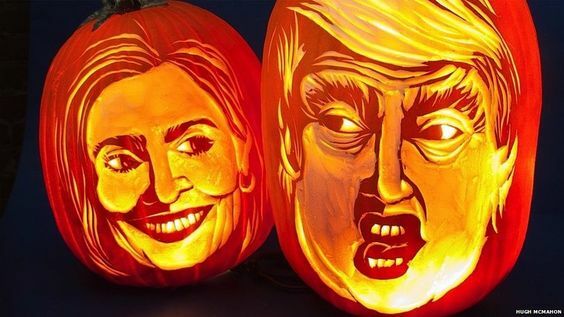 I don't know about you, but I'm soooo ready for this most bizarre of all US Presidential elections to be over. Why can't we handle our elections the way Great Britain does and have it all finished within a few months? Better yet, the way Australia does -- in six weeks. Both countries also limit campaign spending. Isn't it high time we did the same? And speaking of six weeks or a few months, I'm taking a blogging break. Probably for all of November and December. So sorry to miss reading your blogs but I need some time off. I'm way behind on my writing and reading, and something has to give. I also want to start querying my novel in verse and I need to get cracking on stalking researching agents. 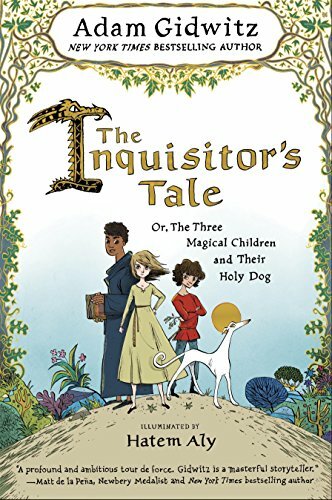 The Inquisitor's Tale (Or, The Three Magical Children and Their Holy Dog) by Adam Gidwitz, illuminated by Hatem Aly (Sept 27, 2016, Dutton Children's Books, 384 pages, for ages 10 and up). Synopsis (from the publisher): 1242. On a dark night, travelers from across France cross paths at an inn and begin to tell stories of three children. Their adventures take them on a chase through France: they are taken captive by knights, sit alongside a king, and save the land from a farting dragon. On the run to escape prejudice and persecution and save precious and holy texts from being burned, their quest drives them forward to a final showdown at Mont Saint-Michel, where all will come to question if these children can perform the miracles of saints. Bonus: It's illuminating as well as entertaining. You'll learn a lot about thirteenth-century France. Adam Gidwitz spent six years researching this novel and it paid off beautifully. For another take on this book (and a fun interview with the author) visit Middle Grade Mafioso's post from October 3, 2016. Congratulations, Patricia! Expect a message from me asking for your mailing address. 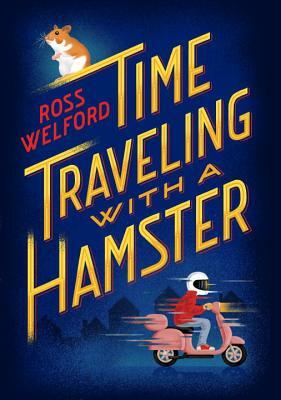 Exclusive Interview with Ross Welford, author of TIME TRAVELING WITH A HAMSTER -- and a Giveaway! Ross Welford, author of Time Traveling With a Hamster, kindly agreed to answer three questions for My Brain on Books. 1) Your time travel rules make so much sense I actually believed time travel was possible. How did you come up with these rules? Thank you for noticing! Time travel is - I discover - a nightmare to plot, so it’s nice to hear I got it right. The main thing I had to invent was “Dad’s Law Of Doppelgängers” - the rule that states you can occupy a bit of space-time only once. This came from necessity, really. Let’s say you have a time-machine and, like Al, you go back in time and create a big disaster... (I’m being careful with spoilers here: if you’ve read it you’ll know what I mean). So what’s to stop you getting back into your time-machine, and travelling back in time again and putting it right? I’d end up with a sort of time travelling Groundhog Day. I did not want Al to be able to do that. There was another thing in my mind as well, and that was Back To The Future. I love those films, but I wanted to avoid too many similarities. I’m especially thinking of the scene where Marty sees himself playing guitar at the school dance. I did not want Al to meet himself. (Why not? Dunno, just didn’t.) Out of that grew the doppelgänger ‘rule’ and once I’d worked it out, it actually kind of made sense! Time travel is, obviously, a fantasy - but I think it’s quite a powerful fantasy, and it was fun to try to make it seem real, if only for the duration of the story. 2) This is your debut novel and I'm most impressed. Tell us briefly about your writing journey. Were there other (unpublished) books you wrote along the way? How did you find your agent? 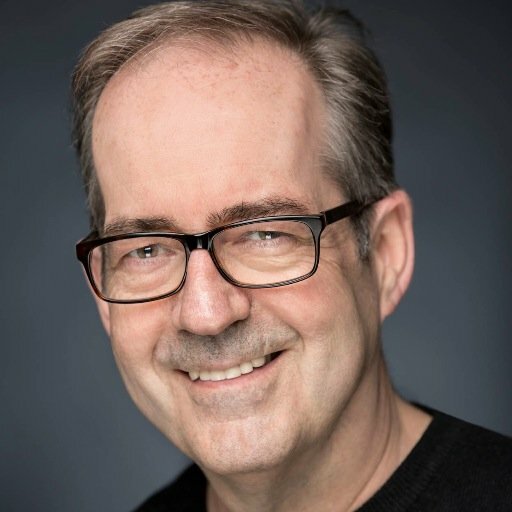 So, I knew that I had to start sending it out there, but I knew no one in publishing and sent out about four and then... A friend at a party said that he happened to know someone who worked at the literary agency Peters, Fraser & Dunlop (I had never heard of them, knowing next to nothing about publishing). So I sent it off and waited, and waited, and waited…. And then things happened very quickly. In December, I received a call from Silvia Molteni from PFD who took me on as a client straight away, and about three months later I had a two-book deal with Harper Collins, UK. Shortly after that, it was sold to the US. (Schwartz & Wade, Penguin Random House). A second book, What Not To Do If You Turn Invisible will be out in the UK early 2017. 3) You're right, Ross. That's far from typical! But congratulations! Now, could you briefly describe your writing space? Was it plastered with charts and timetables a la A Beautiful Mind while you were writing TIME TRAVELING WITH A HAMSTER? Early on, I did try plotting with yellow post-its arranged on a large glass door, and then I tried color-coding for when the action was in 1984! It just got in the way though, and I found I didn’t need it. Quite a lot of Al’s adventures were unplanned - inasmuch as I didn’t know when I started writing the book that he would get into the scrapes he does. Instead of post-it notes, there were lots of scribbled notes with arrows and crossings-out. When I submitted the final draft, I was certain there were no errors in the timeline. The editors found two - thankfully easily fixed. Hurrah for copy editors! They certainly did a great job. Thanks for stopping by, Ross. Giveaway details: The publisher has generously offered one hardcover copy for a giveaway. To enter, you must be a follower of this blog and you must comment on this post. If you mention this giveaway on social media, please let me know and I'll give you extra chances. This giveaway is open to U.S. mailing addresses only. Giveaway ends Sunday October 16th at 10 pm EDT and the winner will be announced on Monday October 17th. Good luck!